A Saint Emilion Garagiste, Jonathan is world famous for making small productions of world class Bordeaux wine. And he's received a perfect 100 point score from the world's most famous wine critic, Robert Parker. Jonathan marches to the beat of a different drummer and loved the idea of making a wine that daringly defies people's expectations of what a Bordeaux wine must cost. 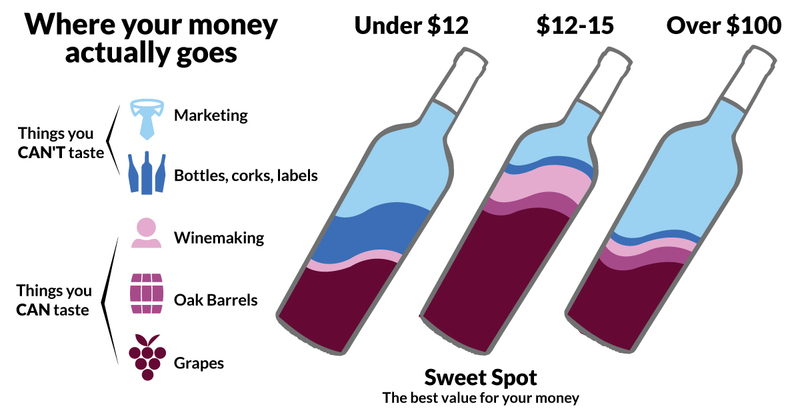 If you want to drink from the world's most expensive wine region and one of the world's only 100 point winemakers, you can now do it for less than $20. I’ve personally wanted to work with Jonathan since hearing this interview in 2009 (you can even see I posted in the comment section). He’s a smart guy who moved to Bordeaux decades ago and bought Chateau Teyssier. He revitalized the estate, bought up the best vineyards in the area and made small lots of delicious wines. Many Bordeaux chateaux just made their main wine and a secondary wine. Maltus started making tiny amounts of single-vineyard wines (volumes so small you could make them in a garage) along with several peers at the time like Jean Luc Thunevin and Stephan von Neipperg. He’s made legendary wines and changed the way people think about Bordeaux and Saint Emilion. Angel funding could give him even more resources to change how Bordeaux works. Imagine real Bordeaux, grand cru quality, coming in at Angel prices under $30 a bottle!